Upon launching the 4040v4 cleat the product team gave the breakdown that the v4 version was a complete change of the past models. The cleat itself is designed for the complete player that can impact all aspects of the game. 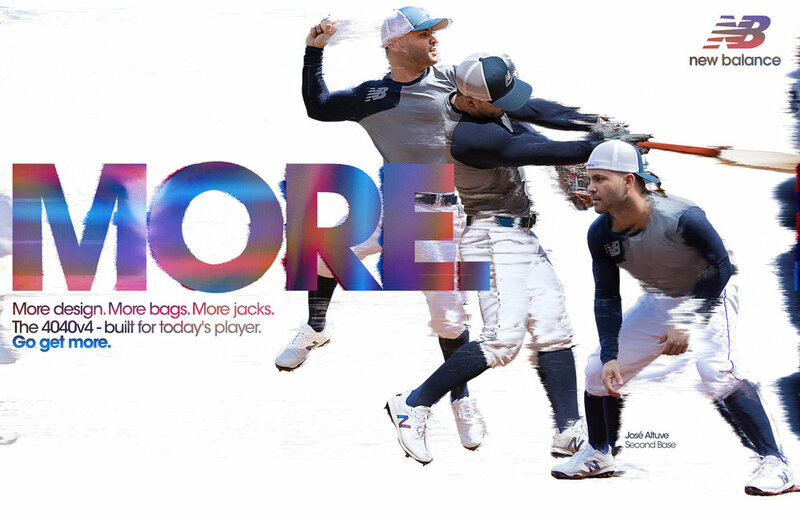 Jose Altuve of the Houston Astros perfectly embodies this player and was perfect for our creative. The concepting came from the pixelation/pixel breakdown idea and the idea of MORE. We wanted to showcase all pieces of the game in one concept so we shot to concept with Jose for video and stills in each of these movements. Video was taken care of by an external team and we were tasked with the stills you see here.